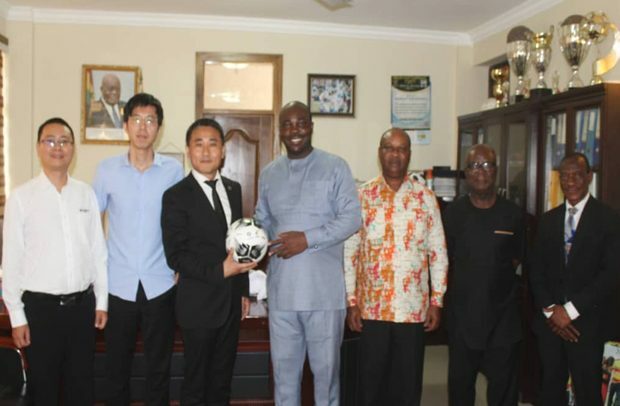 A delegation from Startimes, a Chinese broadcasting firm, led by its Deputy Manager of Media Division, Sheng YI, paid a working visit to the Youth & Sports Minister Isaac Kwame Asiamah. The discussion primarily centred on Startimes’ commitment to the development and promotion of sports and how the firm can complement efforts of government in its sports infrastructure drive in the country. The sector minister used the occasion to commend the Chinese outfit for their support and contribution to sports over the time they have been in the country. Mr. Asiamah entreated Startimes to continue to use sports as a tool to champion its contribution in the country, adding that sports offers massive leverage due to the colossal interest it generates amongst the populace.